Purchase the Hannah Montana CD today! Hannah Montana songs have all of the little ones (and a few of their parents) rockin' out with the Disney Channel on a regular basis. The Hannah Montana TV show is a mega hit around the globe, and Hannah Montana songs have been known to knock some pretty big time musicians off the top of the music charts. Despite the fact that Hannah Montana is often referred to as a real person, she is actually a TV character on a show of the same name. Hannah Montana is played on the show by Miley Cyrus, daughter of country crooner Bill Ray Cyrus (who will never live down his Achy Breaky Heart fame). Billy Ray plays the role of Hannah Montana's father/manager on the show. The premise of the wildly popular Hannah Montana TV show is that the main character is leading a double life. Hannah Montana is a teen pop superstar, but to maintain a normal life, she attends an average school, using her real name, Miley Stewart. When Miley performs as Hannah Montana, she wears a disguise so no one at her school, save her closest friends, is aware that Miley and Hannah are the same person. 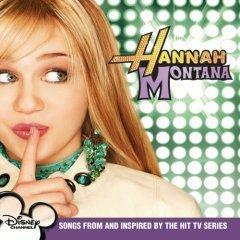 Most of the episodes center on trying to keep the double life of Miley a secret. Naturally, there is a great deal of music in the show, and the fictional pop star Hannah Montana has become a bona fide pop star outside of the confines of the television show. Miley Cyrus tours as Hannah Montana, and her stage set includes songs from the show plus additional "Miley Cyrus" songs. These songs are so popular with the younger crowd that a 2007 Hannah Montana tour caused an all out Ticketmaster frenzy. Tickets to several Hannah Montana shows sold out literally in seconds. Later, tickets to sold out shows began to pop up online for prices double, triple and beyond the face value of the tickets. Outraged parents complained loudly to Ticketmaster and in the media about Ticketmaster policies that apparently allowed scalpers to scoop up the majority of the tickets and attempt to price gouge people who wanted to attend the shows. Ticketmaster agreed to examine their procedures and investigate ways to prevent a similar event from happening in the future. Hannah Montana fans have a lot to look forward to post-2007. The series has been commissioned for several more seasons, and there are more concert plans and DVD plans in the works. Also in the pipeline is a full length Hannah Montana feature film. Unlike many other Disney Channel productions (such as the ever popular High School Musical, you will be able to catch this film at your local cinema instead of on cable.